Combine the coriander, mustard powder, and sea salt in a small bowl and stir together. Rub on both sides of the tuna. 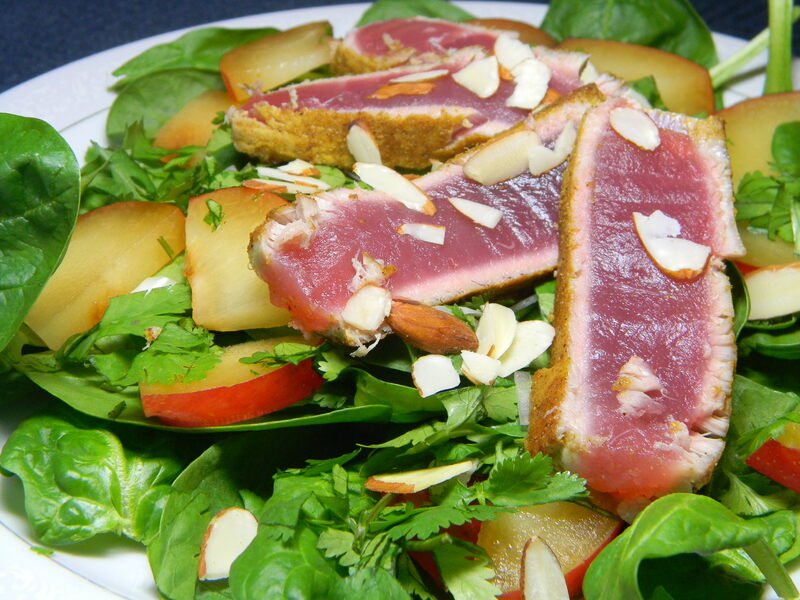 Heat the canola oil over medium-high heat, and once hot, sear the tuna for 2 minutes on both sides. Remove from the heat. 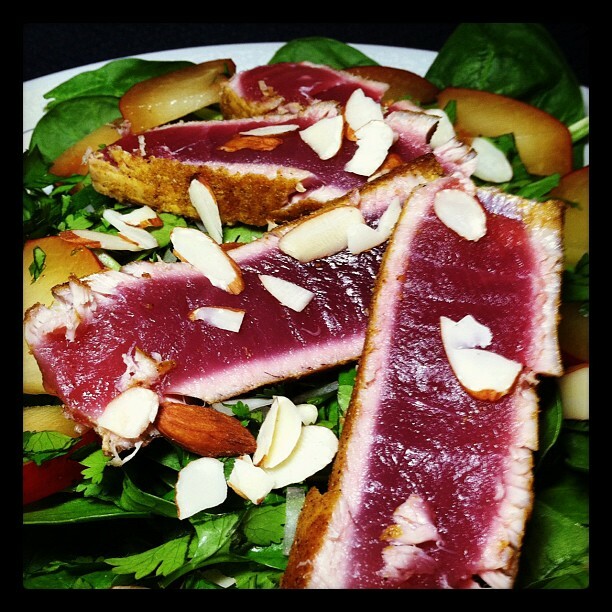 Slice into thin strips and serve over a salad of spinach, cilantro, plums, and almonds. Whisk all 4 ingredients together.